Pink Birthday Girl Flashing Sash from Gas Works. 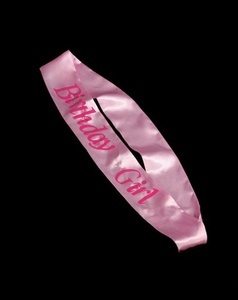 Flashing Pink Birthday Girl sash with darker pink lettering. One size fits most.